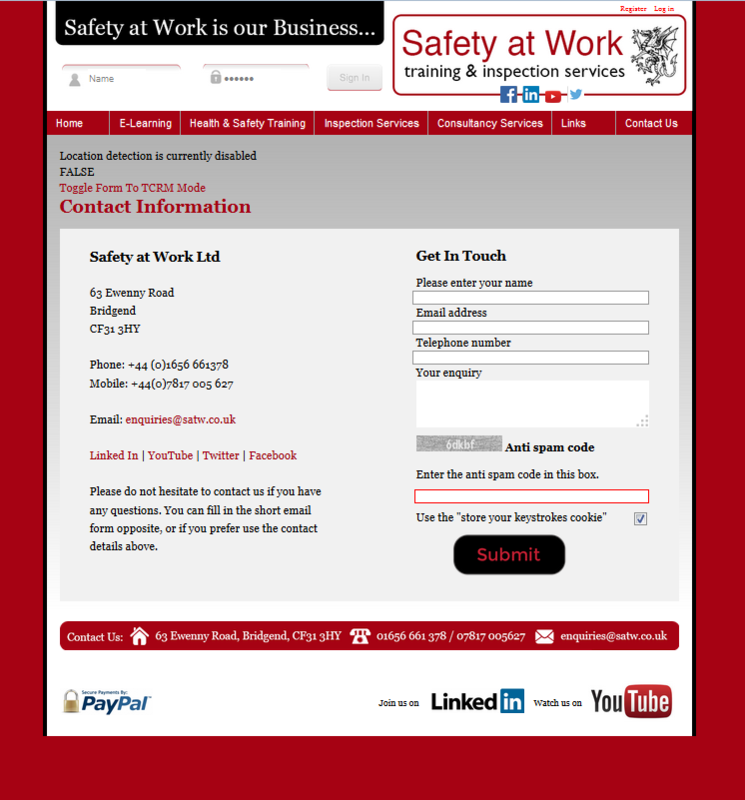 Safety at Work run a wide range of courses. 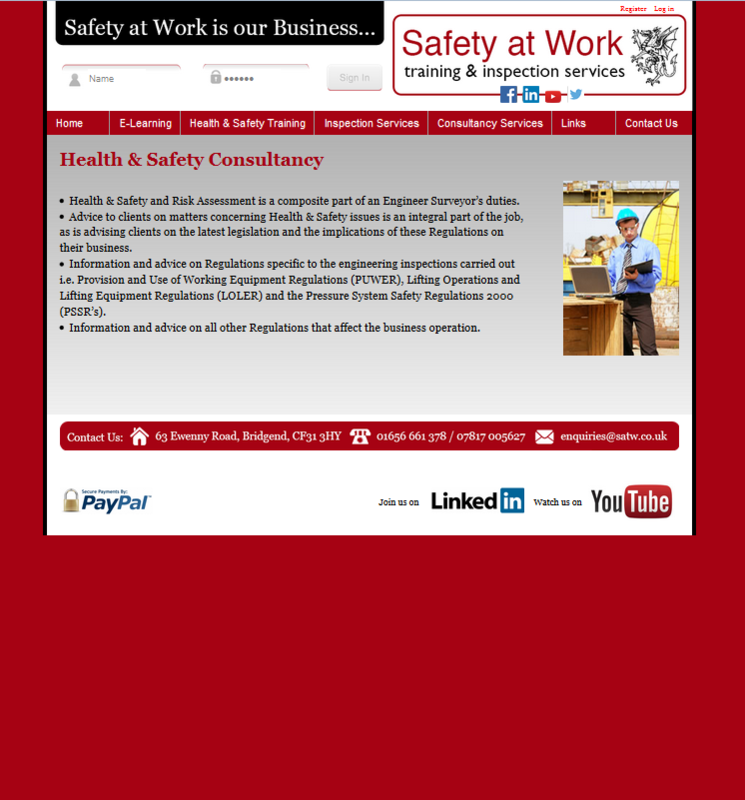 They specialise in Health and Safety Training, and also offer Inspection and Consultancy Services. 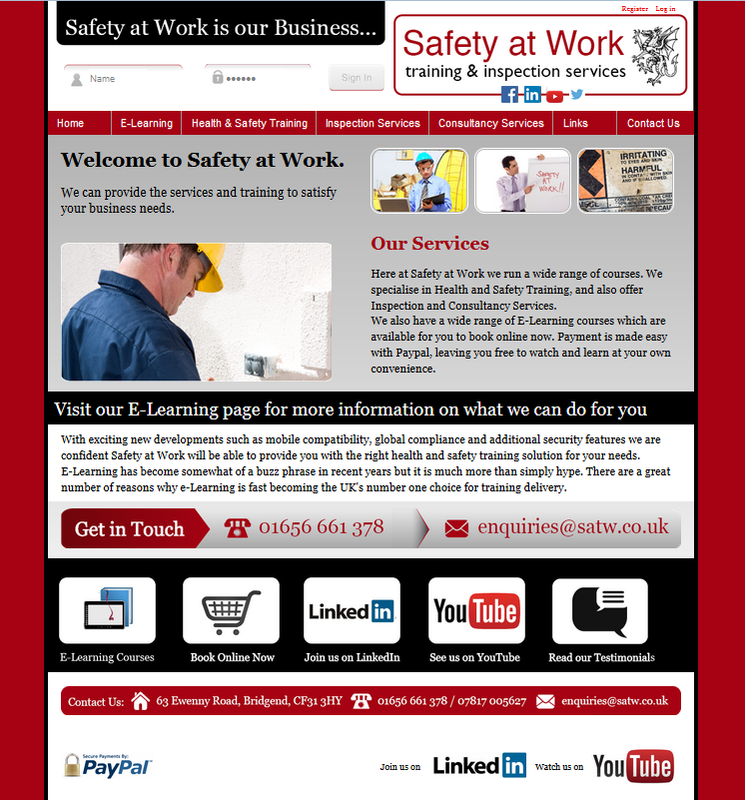 They have a wide range of E-Learning courses which are available for you to book online. Payment is made easy with Paypal, leaving you free to watch and learn at your own convenience.